Street Notes is a project I never started consciously, but pursued continuously. Remember those little notes you’d pass each other during classes and maybe randomly stumble across them years later when you eventually get to clean out your old folders and binders? And maybe keep the ones that make you laugh because they instantly throw you back into that certain situation when you wrote them? Or maybe laugh anyway because you have no clue at all what they mean anymore, or whom you wrote them to, or what their intention was, which makes them ridiculously awkward? 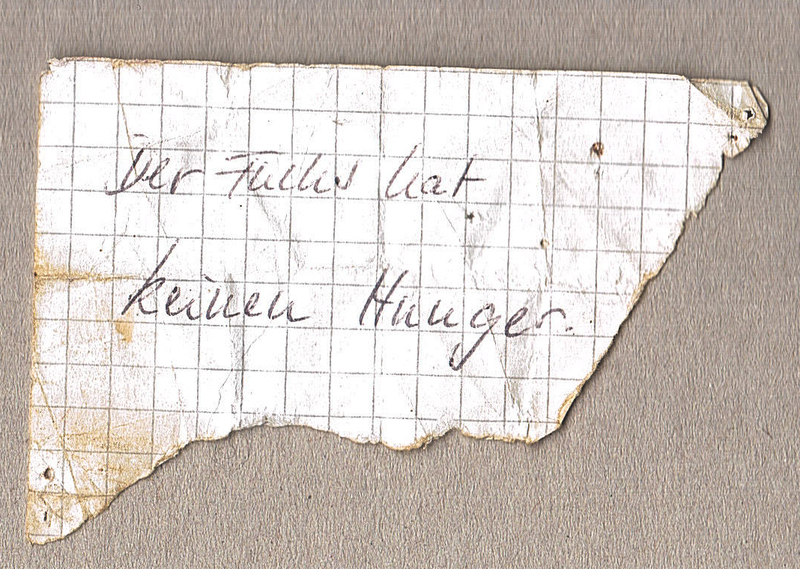 And I started to ask questions: What makes a person write a note about a fox that isn’t hungry? What’s the context? Who’s that person? Where were they going with the bus? Did they notice that they, most likely accidentally, dropped that little piece of paper? Do they still think about it today? Would they recognize it if someone handed this to them today? And why isn’t the fox hungry?!? 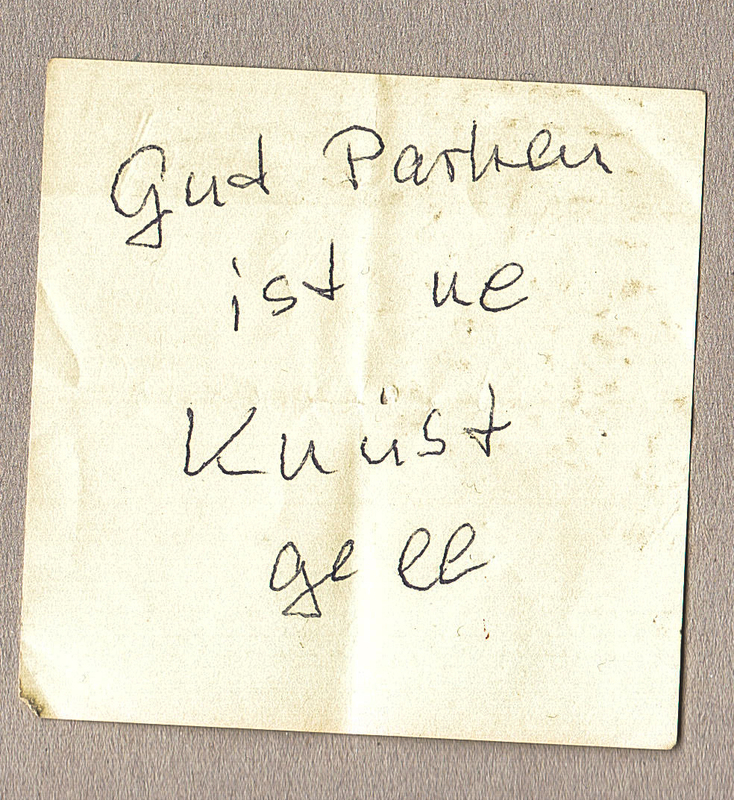 I kept this very first Street Note on my pinboard at my parents’ place for years, moved a couple times, but always successfully managed to take it to wherever I was supposed to be ending up. 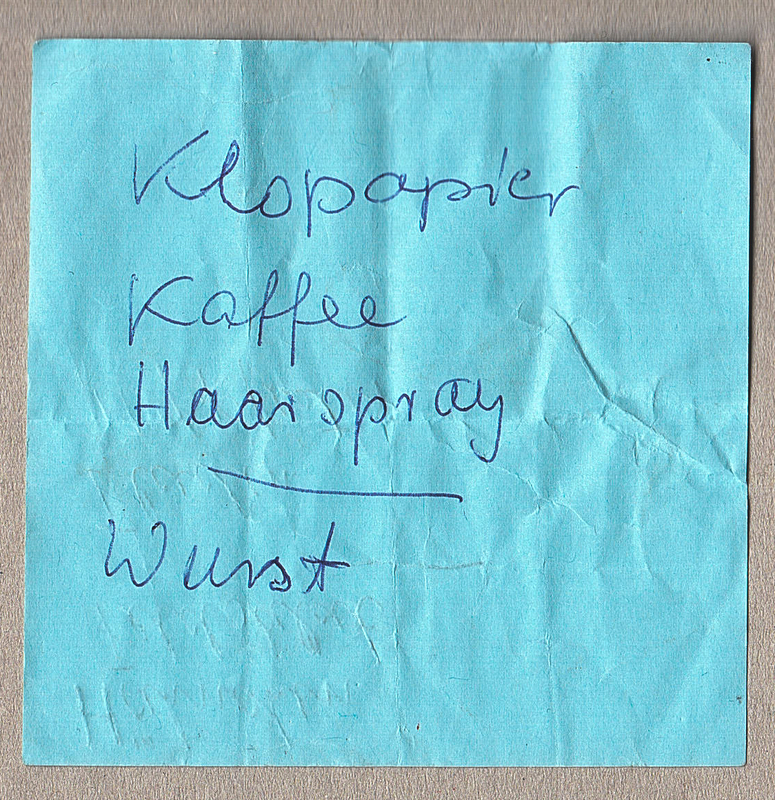 But since then I started collecting these little analog relicts, especially since basically everyone I know – including me – hardly ever uses handwritten lists anymore. I started calling them “Street Notes“, because that’s what they are, obviously. Often stepped upon several times, or soaked with mud and rain and whatnot, crumbled, sometimes half-torn, these little helpers have made a long way from a person’s mind through a pen on the paper, being carried around for a little while, and eventually thrown out or dropped, having served their purpose (or not). And now imagine the person and the circumstances and the approach as to why they decided to write a certain note, and who they are, and if they miss their grandma sometimes. Sometimes you can tell by the handwriting if it’s a schoolgirl or an older man, sometimes the items on their shopping list tell if the person is lonely or has to feed a family, sometimes their choice of notepad hint at what they do in their freetime. 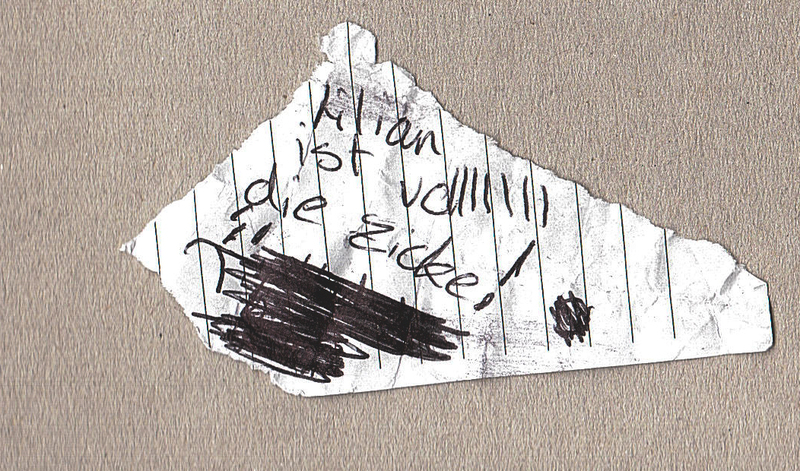 And on it goes… Street notes are actually random daily riddles the street provides for you to solve. If you want to. In a digital world like ours, reminders of all kinds are being created on your device, hacked into your smartphone/calendar/email/siri/whatever tool of choice on demand. Why go the extra mile and grab a pen and a piece of paper? Digital reminders are quick and anonymous bits and bytes, and once each list has been checked, you just touch the little recycle bin icon and erase them from both your device and, ultimately, your memory. “Knopf von meiner Hose ist an einer kleinen Seitentasche! Street notes are a warm, intimate, analog proof that there are actually real people out there, struggling with their daily lives, each with their individual hopes, dreams, and to-do lists. And that’s one of the reasons I started this website: To both preserve these little gems of humanity and to create a chronological proximity between the analog notes I find and the date I get to present them in the digital world. Some are written in foreign languages, so feel free to pass the notes to your friends and have them solve the riddles of the streets. 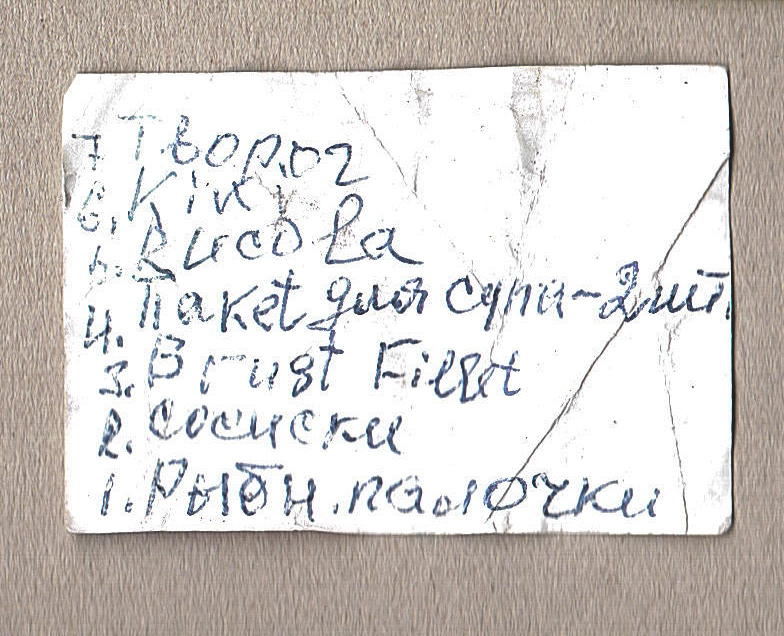 (Russian note I could only decode partly via Google. I am planning on publishing the best notes as a digital book at some point. I even picked a decent title which I carefully chose restricted by the limited knowledge I have of the English language when I was having a bright moment, and also I already created the book’s cover artwork, just in case. (™) You can see it in the upper left corner. Thanks to everyone who encouraged me to keep this project going! And thanks to all you random strangers. PS. 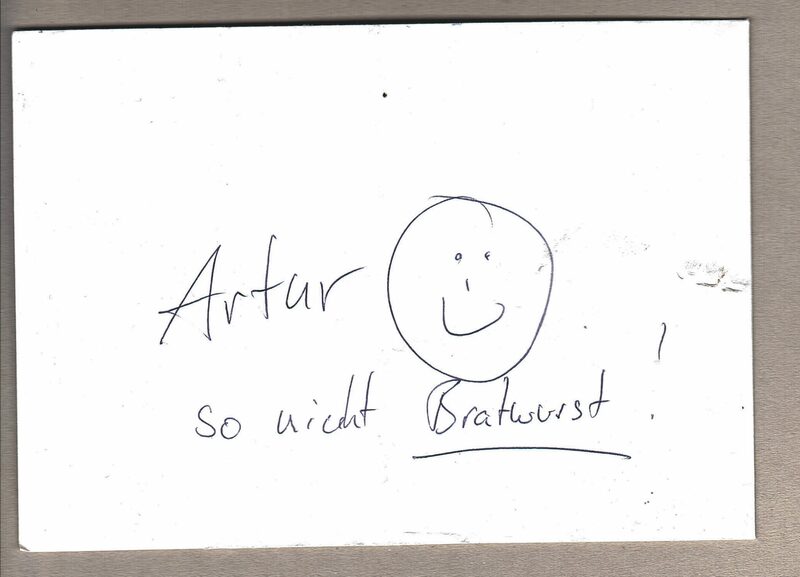 I also accept private submissions, as my awesome friend Michal suggested (while excitedly bringing me notes from his numerous travels as a tour band driver in Europe, for example from Paris, France). Hit me up on Facebook! 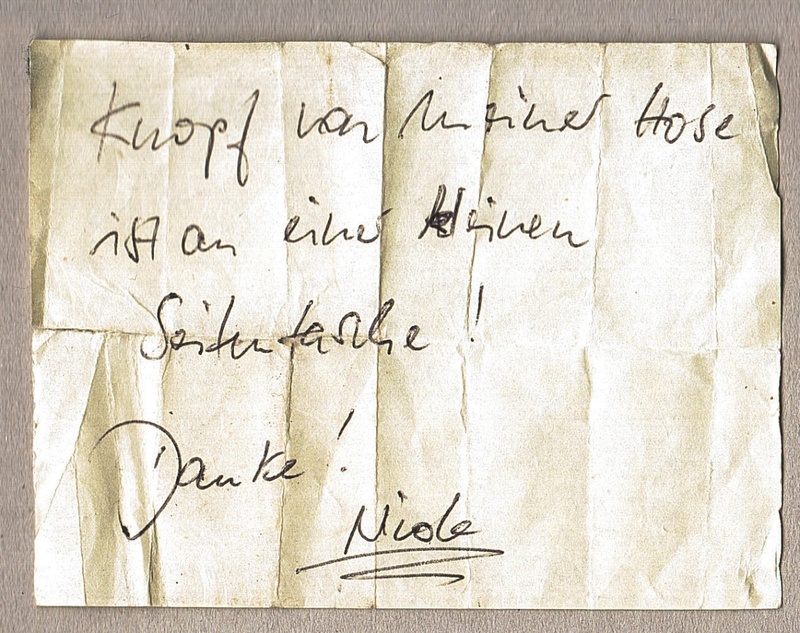 you’ll soon find a pic of Michal’s street note here!